Just because the holidays are over, doesn’t mean the gift giving comes to a halt. Personally, I just absolutely love giving gifts to others. I definitely think it is the most fun to surprise my husband with something special. We don’t exchange gifts too often because we tend to focus on the kids, but when we do give gifts, we make them count. With Valentine’s Day approaching it is time to start thinking about what we all might gift to our loved one. I have an idea for you. 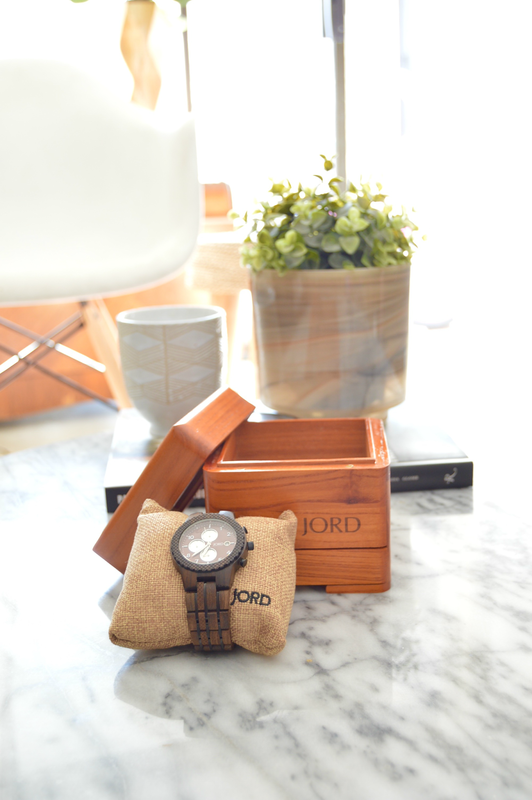 I think giving a gift that is timeless, amazing quality and truly unique is the way to go, so that is why I wanted to suggest JORD wood watches. I mean, just saying that, don’t they sound like a cool watch? 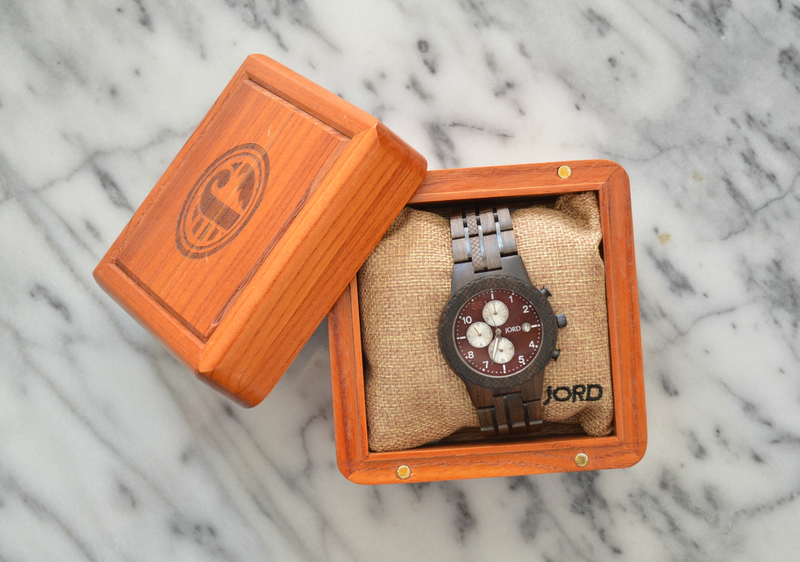 It is a watch made out of wood!! It also comes in the most spectacular wood box that acts as a humidifier to keep the watch looking and performing properly for years and years. I truly wanted to spoiled my husband with something special because we have been through so much over the course of the last few years. We’ve been each others rock during the time I was being a gestational carrier for my cousin and his wife. We’ve been each others rock through my husband losing his job and us buying our first condo. We’ve been each others rock through the uncertainty of when that next job would come. We’ve struggle, but at the same time we’ve flourished. Times were tough, but our love was tougher. We were in it for better or worse and I just knew we’d start to see the light at the end of the tunnel at some point. Well, holy moly, grabbing the sunglasses because things are so much brighter now. We’ve had to create a new normal for our little fam, but I can see clearly now. Time to spoil my man for all the hardwork he has and continues to put forth for me and the kids. 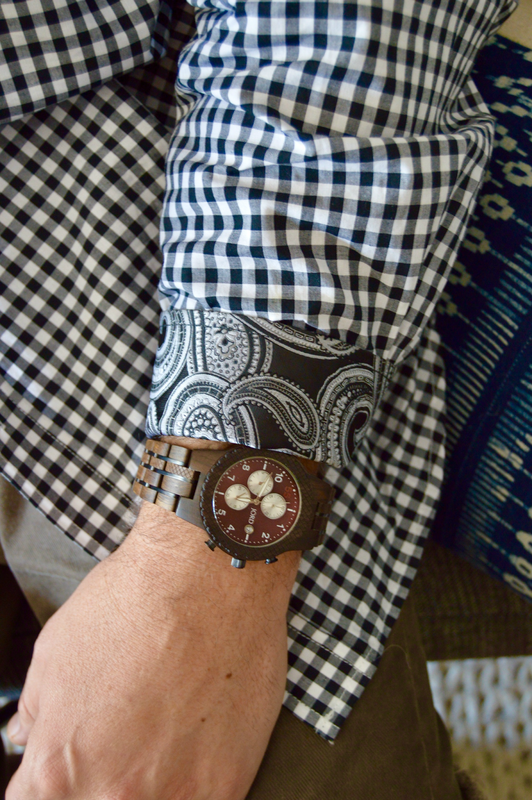 I chose the new Conway in dark sandalwood with the burgundy face watch for my husband. I loved the richness this color combo exuded. And for a little added detail there are stainless steel links intermixed on the band. Truly this watch is a piece of art. And if you want to add an even more special touch to this already amazing watch, you can choose to have it personalized with engraving on the underside of the watch, on the box or both. What a great way to make this a keepsake item for your man. Personally, I’m eyeing a few of their woman’s watches for myself because we all know how much I love to accessorize. So, what do you think? 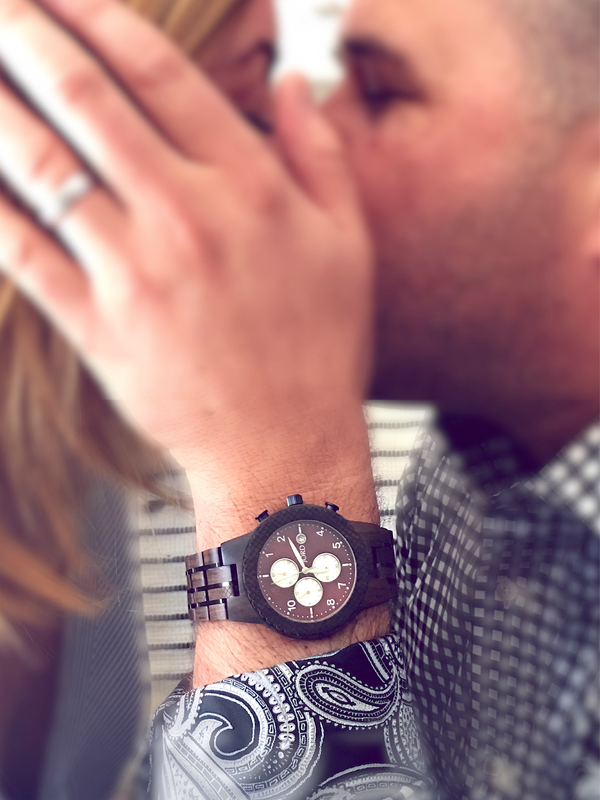 Would your man love a unique watch by JORD for Valentine’s Day? If so, be sure to sign-up for the giveaway I’m running through them for your chance to win a $100 off your watch purchase. Just so you know though, you’re all winners because just for signing up you’ll receive a consolation code worth $25 at the end of the contest. The contest runs til January 29, 2017 at 11:59 pm. Good luck!! *I was provided a watch for my review of the product, but all opinions are my own.